Although two different styles of fishing I have combined Plaice and Sea Bream fishing together as they are often targeted together on the same trip and can be found within 5 minutes of leaving Poole Quay in Dorset. These aggressive little fish give some of the best sport you will find in fishing. Sea Bream are found throughout Poole Bay and along the Dorset coastline. Sea Bream arrive early in April and are caught throughout the summer before moving off to sea in autumn. From April to June they are busy building nests, laying eggs and protecting their nests. Remember that once the females have laid their eggs it is the males who look after the nests, so only take a couple of each for yourselves and return the rest to provide future generations of these lovely fish. Light spinning rods with a small fixed spool give you the best fun but use what you are comfortable with, I prefer longer more sensitive multi tip rods as they register bites far better when Sea Bream are just ‘mouthing’ the baits. 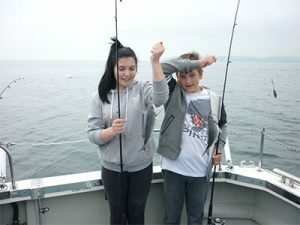 If you are fishing to the west of Poole a 6lb class rod suits better as you will need weights up to 10 ozs during the tidal run and either a small multiplier reel or 3500 series (minimum) fixed spool, both with braid line. 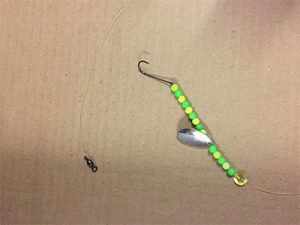 Hook sizes range from 6 to 1/0 fished usually on a 2 or 3 hooked rig with 1 hook below the weight and the rests just above the weight, if you are using pre made rigs from a shop ALWAYS check all the knots. I prefer to use 12lb fluorocarbon line for traces and make my own rigs using match tactics learnt from England and Welsh International anglers, these consist of small glued beads, 4-way beads attached to the traces and main line with the only a clip link to hold the weight this type of rig creates far less noise in the water and catches more fish, these are tactics used by international team anglers to catch more fish. Bait is mainly squid, mackeral and ragworm but when feeding they will take most baits. Plaice arrive in early spring off the Dorset coast, but tend to be thin after spawning and travelling many miles to return to their feeding grounds. 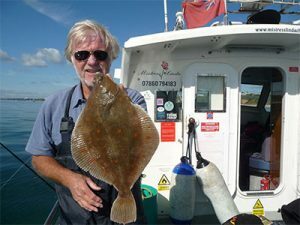 During the summer months and into autumn Plaice can be caught in good numbers throughout Poole Bay and in the Harbour, most of the fishing is done whilst drifting. Plaice hug the seabed so you must ensure you use the correct amount of weight to keep your bait hard on the bottom, Plaice will often follow your bait for a long time plucking at it before deciding if it wants to devour it. Most anglers prefer to use spoons / small blades and coloured beads of various patterns, each angler will have his favourite colours red/yellow, black/green, yellow/green to name a few. Plaice fishing bait is usually ragworm tipped off with a thin squid strip or deadlier is a small section of raw jumbo prawn. 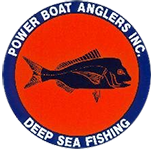 To find out more about our technical rigs & plaice and sea bream fishing methods please call or contact us using our enquiry form.